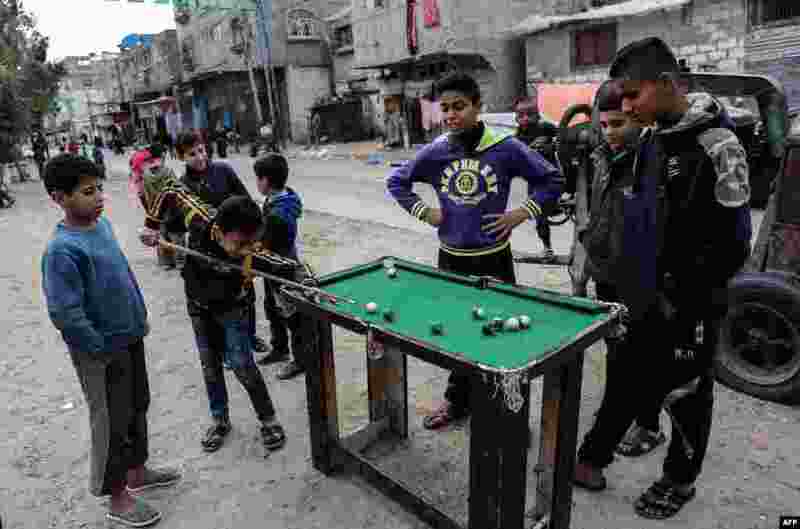 1 Palestinian boys play pool in the Rafah refugee camp in the southern Gaza Strip. 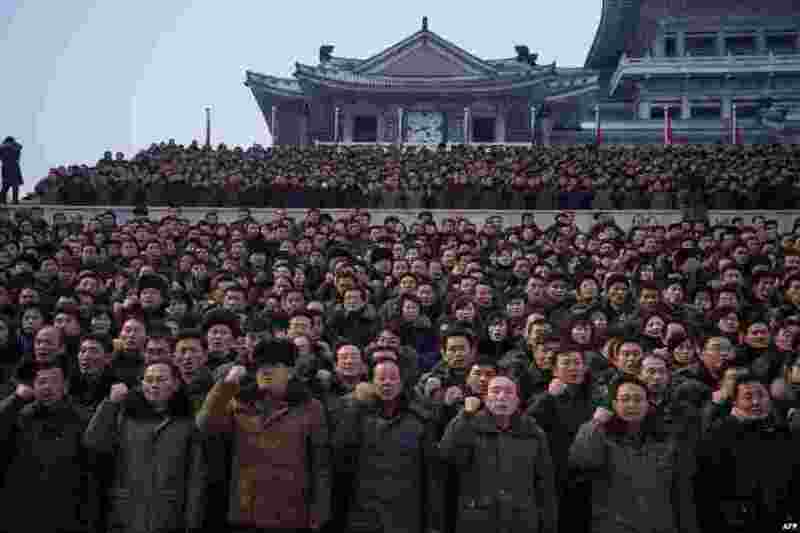 2 Participants gesture during a mass demonstration in support of a new year address made by North Korean leader Kim Jong-Un at Kim Il-Sung square in Pyongyang. 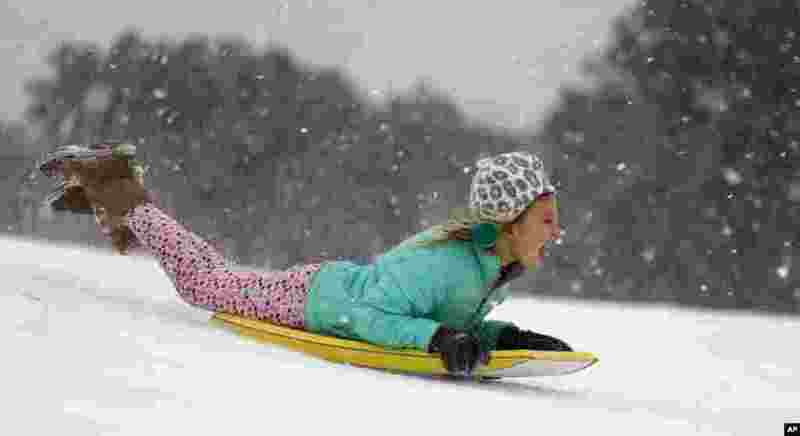 3 Finley Bork, 7, uses a boogie board, typically used on the beach, for sledding down a hill on a golf course at the Isle of Palms, South Carolina. 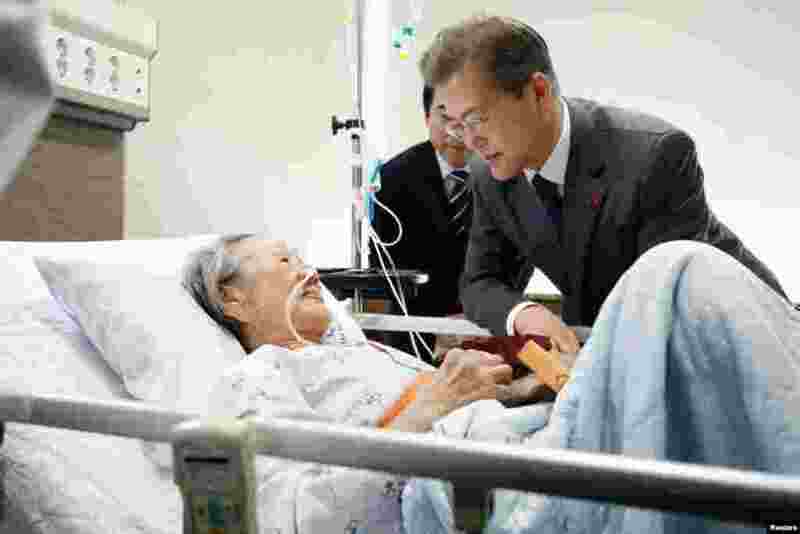 4 South Korean President Moon Jae-in meets with South Korean Kim Bok-dong, who was abducted to serve as a "comfort woman" for wartime Japanese soldiers, at a hospital in Seoul, South Korea.